April Boyle is a Pennsylvania native who has always been passionate about caring for animals. In 2008 April graduated from Indiana University of Pennsylvania with a bachelor’s degree in Interior Design and moved to Maryland. However, she sought a career path change as she was missing the connection to the animal world. 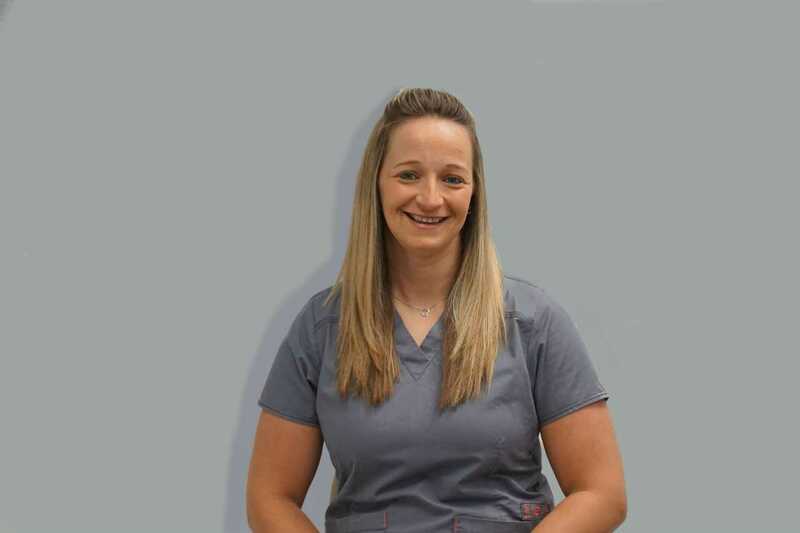 April began her journey in veterinary medicine in 2009 when she joined a general veterinary practice and concurrently began online veterinary technician assistant training. In 2012, inspired by her own dogs needs, April found the rewarding field of veterinary rehabilitation. She began working with the the rehab department of a large referral specialty hospital and realized she was at home in her dream job. April further dedicated herself to the field of veterinary rehabilitation when she sought formal training through the Canine Rehab Institute. April became a certified rehabilitation therapist technician in 2014. Skylos Sports Medicine gained an invaluable team member when April joined our team in March 2017. 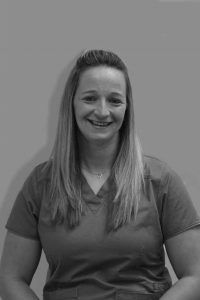 April enjoys all aspects of rehabilitation therapy, and has brought a wealth of knowledge but also the desire to keep learning in this ever growing field of veterinary medicine. Her experience includes working with numerous neurological types of patients, post-operative patients, and with geriatrics. Since joining Skylos, April has further grown her rehabilitation skills to include working with performance dogs and joint replacement patients. April enjoys spending time in the canine gym working with patients on various types of exercises or in the underwater treadmill. She also equally loves spending time with her patients and their guardian, getting to know them and providing therapy to improve comfort and healing as well as providing education on at home care. April resides in Brunswick, MD with her husband and their German Shepherd, Ruger. She enjoys watching the Pittsburgh Steelers and Penguins, visiting local wineries and breweries, skiing and spending time with family and friends.